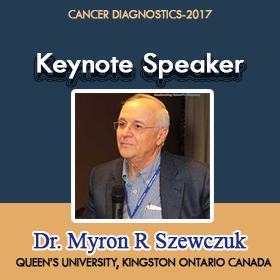 Myron R Szewczuk, PhD is Professor of Immunology, Department of Biomedical and Molecular Sciences and Medicine, Queen’s University, Kingston, Ontario Canada since 36 years. He received his BSc in Chemistry (U. of Guelph), MSc in Biochemistry (Guelph), PhD in Immunochemistry (U. of Windsor) and Post-doctoral Training with Gregory Siskind, MD in Cellular Immunology at Cornell University Medical College, NYC. His recent research focuses on the role of glycosylation in receptor activation with a focus on TOLL-like, nerve growth factor Trk, EGFR and insulin receptors. He has discovered a novel receptor-signaling platform and its targeted translation in multistage tumorigenesis. A novel organizational signaling platform linked to glycosylated receptor tyrosine kinases (RTK) (e.g., EGFR, TrkA, insulin) and TOLL-like (TLR) receptors is identified to regulate receptor activation process, all of which are known to play major roles in tumorigenesis. This signaling paradigm proposes that ligand binding to its receptor on the cell surface induces a conformational change of the receptor to initiate matrix metalloproteinase-9 (MMP-9) activation to induce neuraminidase-1 (Neu1). Activated Neu1 hydrolyzes α-2,3-sialyl residues linked to β-galactosides, which are distant from the ligand binding sites. These ﬁndings predict a prerequisite desialylation process by activated Neu1 enabling the removal of steric hindrance to receptor association. In addition, the relative levels of specific sialoglycan structures on the cell surface correlate with the ability of cancer cells to form avascular 3D multicellular tumor spheroids and in vivo xenograft tumors. Here, we have identified an innovative and promising entirely new targeted therapy for cancer. Mammalian neuraminidase-1 (Neu1) in complex with matrix metalloproteinase-9 and G-protein coupled receptor tethered to RTKs and TLRs is identified as a major target in the multistage tumorigenesis. Preclinical studies support an entirely new cancer targeted therapy unaffected by mutations of growth factor receptors, involved in tumor neovascularization, chemo-resistance of tumors, immune-mediated tumorigenesis, and tissue invasion and metastasis. He has more than 40 years of medical practice after graduating in Medicine at the University of Naples (Italy), and a post-degree specialization in Anesthesiology and Intensive Care from the Università di Pisa (Italy). He is a Founder & President of European Medical Association (Belgium). 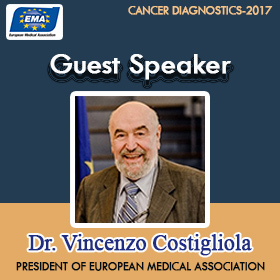 He has also co-founded the European Association for Preventive, Predictive and Personalized Medicine, and is current President (Belgium). He was formerly the Chief of Medical Services in the Italian Navy. Over the years, Dr Costigliola has widened his specializations into Rheumatology, Dermatology, Proctology, Oncology, Surgery, Drug Abuse, Emergency Treatment, and Disaster Action. 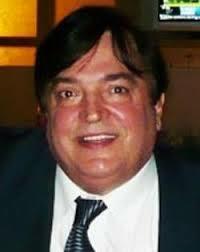 Dr. Vincenzo Costigliola has also developed expertise in Hospital Organization, Medical Teaching Methodology, Computer and Audio-Visual for the Medical Profession. He is the Medical Advisor to OTAN and W.E.U. Bruxelles. He is a member of the International Advisory Board of the King Abdulaziz University, Jeddah (Saudi Arabia); a Board member of the European Biotechnology Thematic Network Association (Italy); and a member of the Editorial Advisory Board of the Journal of Psychiatry in Primary Care. He is a renowned speaker at numerous International Conferences and Congresses. He is multilingual and is proficient in 5 languages; English, Italian, French, Spanish and Portugese. Dissolving and dispersing means cleansing of the fiber tissue from dead cells by eliminating them and making space/room for the formation of new and healthy cells. This step specifically is the most important consequence to produce a vital, long lasting life. It will extend human being vital and healthy life for 30 to 40 years. It is important to point out we didn’t stooped there, and in processes is research of brain which is consisted of number of new life sequences, which allowed Galapagos Giant Turtle to lives extend life of 260 years and more, as well as Greenland sharks who can live 300 years and more, and Greenland whale where some lives 140 and even 23o years. My Center did research with number of fermions’ particles, /nobody in world did/ and it gave as the lead to discover this natural phenomena of long living of some animals and trees, which could be easily apply for humans. Today appear especially in West science in Medicine in Europe and US kind of inquisition era of science of 20 and 21 centuries, with silenced and hidden results of unsuccessful and horrible therapy for millions of patients who die each year, even by increasing number of death each year. These unsuccessfully therapies are providing from number of PhD., in Hospitals and Institutes worldwide and without developed technology as my Center developed, they are helpless to rescue lives millions of patients from cancer and neurological disorders, heart attacks, strokes, kidney failure etc. My Center developed most efficient therapy in the entire world by Healing, prevention, rehabilitation and rejuvenation. With my Center developed advanced technology we do not have any competition from science in the US or anywhere in the world. This rejuvenation function can also be used for cosmetic and aesthetic care since this therapy is able to tighten the skin on the face, neck, arms and legs.